Comox Valley & Vancouver Island mountain bikers looking for another challenge after the recent 12 Hours of Cumberland and Coal Town Classic races can mark June 26 on their calendars. That’s when the Dodge City Enduro will take place on the trails of Cumberland. Invented in France 11 years ago as a “middle ground” between downhill and cross-country racing, an enduro race involves timed downhill sections and untimed climbs spread out over several stages. 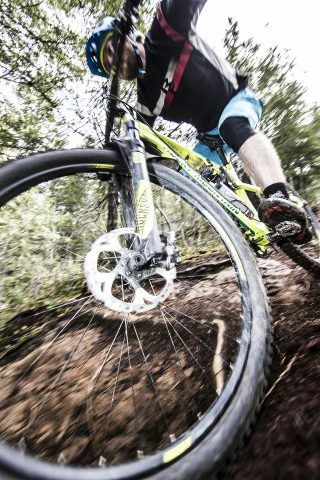 The 2016 Dodge City Enduro will be comprised of four timed stages, each covering a selection of Cumberland’s world-class network of singletrack. Between stages, riders will traverse the terrain that has made Cumberland mountain biking famous via logging roads and cross-country trails; the total race will cover approximately 23 kilometres. Plate pick up begins at 9 a.m. at the Cumberland Village Park, with racing getting underway at 11 a.m. Riders can register online at www.islandcupseries.com; various categories will be tailored toward beginner, advanced and expert riders, with separate divisions for male and female competitors. On the up side, the $50 entrance fee includes pulled pork sandwiches from UROC gold sponsor the Waverley Hotel; on the down side, the event is limited to the first 140 riders, so register now. The United Riders of Cumberland is a non-profit society that promotes and supports the Comox Valley mountain bike community through trail building and advocacy, volunteerism, promotion of the sport and fundraising. UROC wishes to send a huge shout out to all of its sponsors, including 2016 platinum sponsors Can West Mechanical, Dodge City Cycles, Mountain City Cycle, Trail Bicycles and Riding Fool Hostel. To learn more, or to register, visit www.islandcupseries.com.